JAKARTA (TheInsiderStories) – Lawyers from two law firms in the United States (US) suggested the importance of filing a lawsuit against aircraft maker Boeing Corp. in American courts and demanded regulatory changes that regulate the process of investigating plane accidents as a result of the cases of Lion Air in Indonesia and Ethiopian Airlines in Ethiopia. 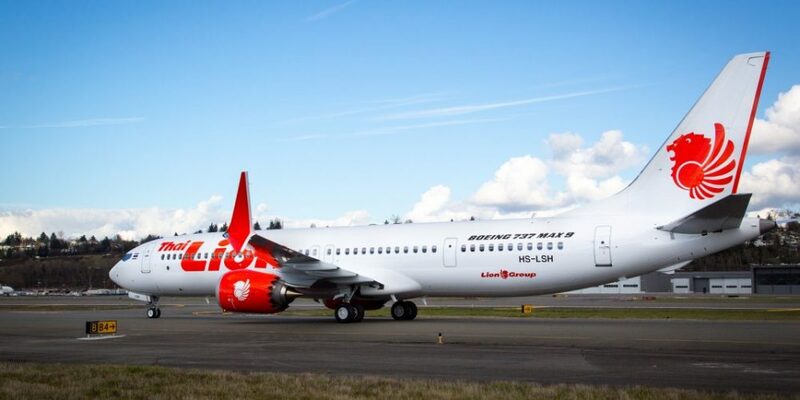 According to lawyer from Ribbeck Law Manuel von Ribbeck, after finding the latest evidence regarding aircraft design issues 737 Max 8, more and more families are victims of the Lion Air JT610 plane accident who will demand justice against Boeing in US courts. Based on the tracking data found on the Lion Air JT 610, the pilot cannot lift the nose of the aircraft and keep the altitude in the air because the system automatically pushes the aircraft down continuously 20 times. “Based on the latest news, more and more families of victims have decided to act,” he said in a written statement on Thursday (03/27). With this technical error, Ribbeck considered that there were safety problems in the aircraft that could affect passengers throughout the world, not only in Indonesia or Ethiopia. Therefore, the problem can only be solved in America, where Boeing is located. “Many are asking why the Lion Air case must be brought to an American court and not in Indonesia. Keep in mind that Boeing is headquartered in Chicago, all designs and evidence of aircraft manufacturing carried out by Boeing are related 737 Max 8 is in America investigating FAA certification on the 737 Max aircraft,” he explained. Ribbeck suspects Boeing is responsible for the fall of Lion Air JT610 due to dangerous conditions caused by the Maneuvering Characteristics Augment System (MCAS), an automatic safety feature designed to prevent stall conditions, but can force the nose of the aircraft down forcefully. With that, the elite aircraft maker in US have failed to provide true information to pilots about the features and new automatic flight control system on the 737 Max 8 aircraft, thus creating dangerous conditions when on air. “After the accidents of Lion Air and Ethiopian Airlines, more than 40 countries have canceled flights for all 737 Max aircraft, including America, Australia, the European Union, India, Thailand and Malaysia. Other countries such as Canada, China and Germany have also stopped using 737 Max 8 because of concerns about passenger safety, “he said. Previously, in November 2018, the Federal Aviation Administration (FAA) and US regulators had to issue orders and issue Emergency Airworthiness Directive for all 737 Max 8 and Max 9 aircraft as well as “unsafe conditions” warning because the system could push the nose of the aircraft down strongly, causing a significant loss of altitude, and can collide with land because of the potential danger that can be caused by the MCAS on Boeing 737 Max 8, 2018. Meanwhile, lawyer Monica Kelly also said, after the second tragedy it was important to review the regulations governing air accident investigations both domestically and worldwide. When air accidents occur, aircraft manufacturers, aircraft component manufacturers, and government bodies will be involved. However, she admitted, independent lawyers were often not involved to represent the families of victims. It is recommended that institutions such as NTSB, ICAO, and other similar organizations should consider involving a lawyer or investigator appointed by the family to ensure that there is no improper influence from Boeing or other parties. “If the aircraft manufacturer causes the death of my child, of course I don’t want the aircraft manufacturer to investigate itself and I will bring in an independent lawyer who can represent my interests as the victim’s family,” she said. On the other side, Austin Bartlett from Bartlett Chen LLC suggested that the CEO of Boeing have a purpose and devote a strong intention to help the families of the victims, as well as the strong intention to be able to fly a Boeing 737 Max 8 aircraft. Bartlett said he was very surprised to hear from the New York Times that the family of the Lion Air accident victim was only offered compensation of US$91,600 by Lion Air on the condition that the victim’s family must release their lawsuit against Boeing. “With attention focused on the ban on 737 Max 8 flights worldwide and air safety improvements, we hope Boeing will not forget 346 victims killed in this accident,” he said. So far, Ribbeck Law Chartered became one of the lawyers of law firms representing 45 families of victims killed in the Lion Air JT610 plane crash and had filed a lawsuit against Boeing in a US court.